Nokia today has officially announced a new Symbian Anna smartphone, the Nokia 500 which comes powered by 1GHz processor and 3.2-inch touchscreen with 640 x 360 pixel resolution. Announced as a “low-cost, full-function smartphone”, the new phone measures 111.3 x 53.8 x 14.1 mm, weights 93 grams and has changeable back covers. 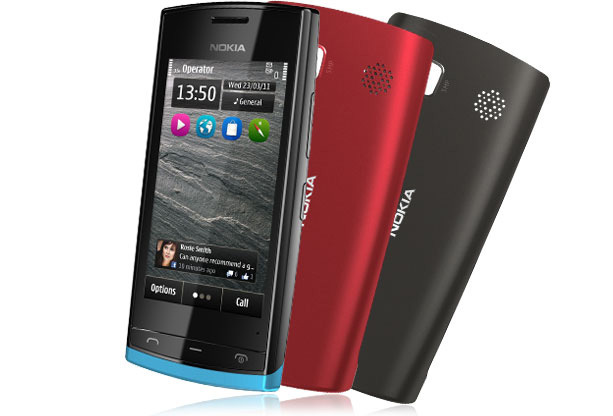 It offers HSDPA up to 14.4 Mbps, HSUPA up to 5.8 Mbps connectivity, along with GPS, Bluetooth 2.1 and Wi-Fi b/g. It has 2GB of storage memory and micro-SD card slot if you need more. There’s also a FM radio receiver and Internet Radio access and on the back, there’s a 5-megapixel camera with video recording. A microUSB port will allow you to charge the phone’s battery which can provide up to 5-7 hours a talk-time and stand-by time of up to 450 hours. 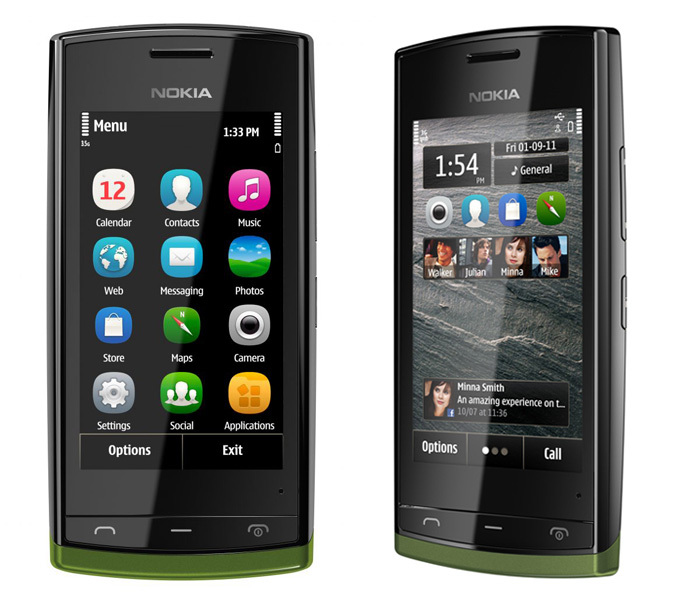 The phone comes pre-instaled with Symbian Anna OS, offering a refreshed UI, a better browser and split-screen messaging, along with latest version of Nokia Maps for free drive and walk navigation. The Nokia 500 will be available in black and white varieties with three different-coloured back covers in the box for €150 before taxes and subsidies. More colours will be available later including purple, azure blue, pink, coral red, orange and dark silver.